The Lebanon County Historical Society was organized in 1898 by a group of interested local citizens and amateur historians. The Society was considered the county’s attic until 1935, when the group offered its first public exhibits. Today, the LCHS is a place where residents and visitors alike can experience our history first-hand, as well as conduct their own historical research and have access to related gifts and souvenirs. The Stoy Museum is named in honor of Dr. W. H. Stoy, the original owner. The Reese Memorial Hall is named in honor of Catherine Killinger Reese, whose generous bequest settled the final debt incurred with the restoration of the building. The Hauck Research Archives is named in honor of Sarah Hauck, who bequeathed the first property. The foremost benefit of membership in the Society is your participation in the noble mission of promoting and preserving our Lebanon Valley history. Membership dues provide a portion of the operating expenses for maintenance of the Society building and for our community projects. The Stoy Museum is open for guided tours only. Groups of 10 or more are requested to make arrangements 2 weeks in advance of desired tour. Please visit the LCHS Website or call the Society Office for current pricing and schedule information. 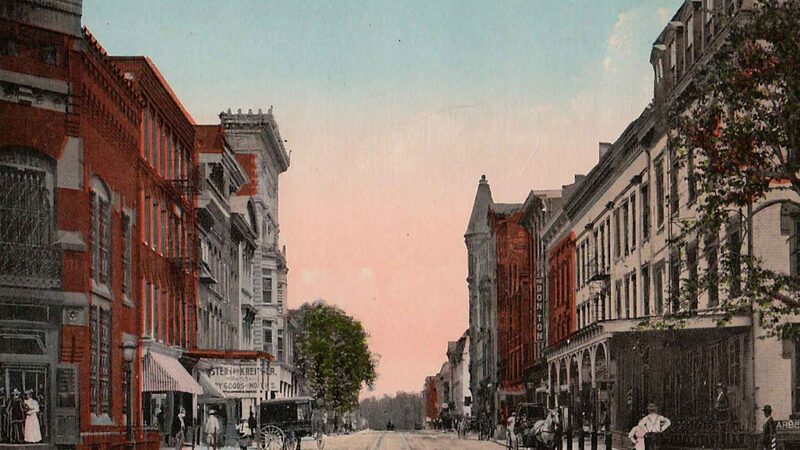 The Lebanon County Historical Society is a proud participant of the First Friday Art Walk in the heart of downtown Lebanon, in association with the Lebanon Valley Council on the Arts. Visit the Stoy Museum from 5:00 to 8:00 PM, on the First Friday of every month to view their Front Parlor exhibition series. In the early 1930s, an effort began to restore and preserve the old Union Canal tunnel northwest of Lebanon, and the Historical Society was granted permission to spearhead that initiative. On April 3, 1950, the Society completed the purchase of the eight-acre tract of land around the southern terminus of the tunnel, with definite plans to develop it as a historic site. The Union Canal Tunnel Park, dedicated in 1988, is now comprised of more than 100 acres of recreational and historic lands, open to the public and maintained by the volunteers of the Friends of the Union Canal Tunnel Park.